Hearts, hearts and more hearts. The theme I chose for this great set of coasters. There is nothing nicer than sitting around a pub and having an unusual coaster to put your drink onto. 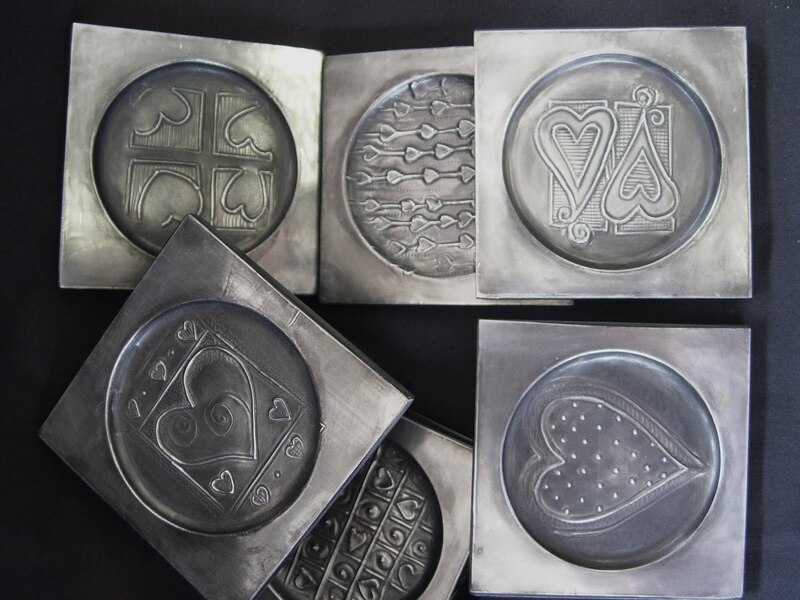 Being able to create a practical and personalized set of coasters from pewter sheet makes for such a stunning gift. 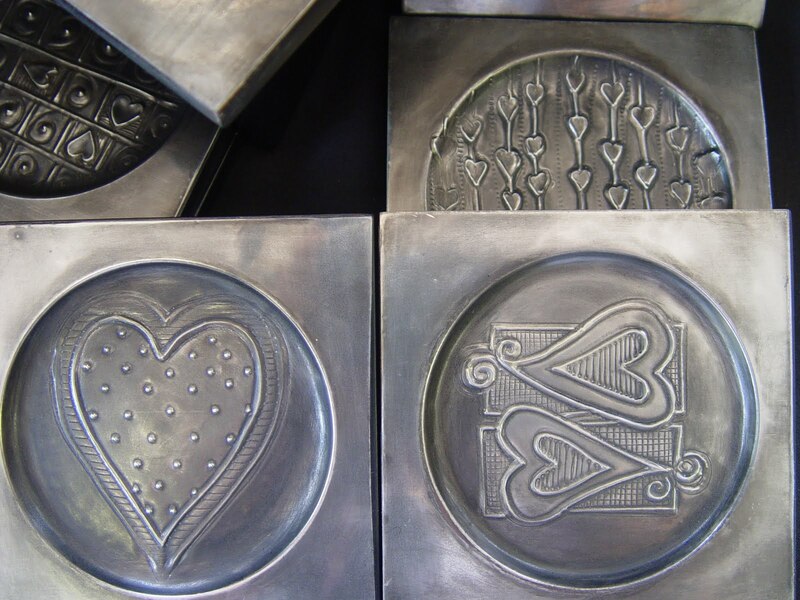 The pewter work is done in low relief, so as not to create bumps or lumps for your glass to sit comfortably. Themes could include drink names, family names, logos etc. 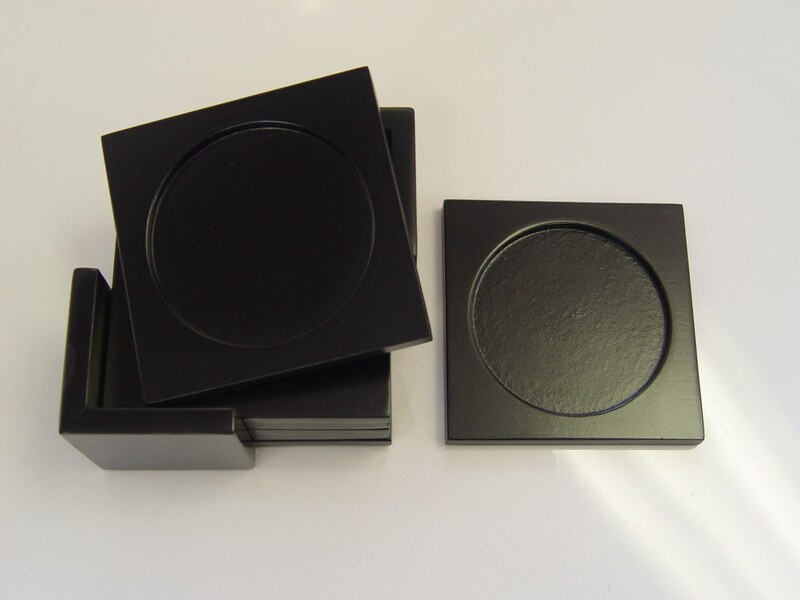 Our set of 6 coasters come in a matching wooden stand beautifully factory sprayed in an almost black lacquer. Cost R150 for the set (without the pewter work). The round indent can be done with a pewter inlay or the entire top can be covered with pewter as done in our example here. This is a stunning project to do for a guys 21st, 30th, 40th, Fathers day etc.